This personal perception is backed by Linkedin’s Workplace Learning Report 2017 which points out that only 8% of CEOs see business impact and only 4% see ROI of L&D. It is even stranger to think that this is happening at a time when learning is becoming an integral part of a modern corporate. Most employees today need to continuously keep upping their knowledge and skills, not only for their own growth, but also because the business demands it. 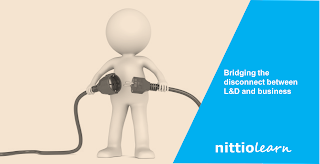 Over long conversations with my L&D friends, I could summarize some differences between an L&D function that is connected to the business vs. one that is not. Here are a few points for you to ponder over and figure out if you are the exception to the norm. The top favourite words around focus area of central L&D reveal the team’s priority. The top words I hear happen to be – driving an innovation project, gamification, deploying a learner centric system. The irony is that these words hardly come up in conversations with L&D teams that are well embedded and connected with the business. These teams are always looking at solving the real organizational problems whereas the ones that parrot the day’s buzzwords conceive top-down projects top down from L&D organization’s perspective. 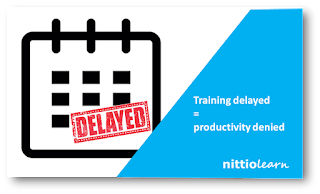 Are you just catering to and coordinating the requests for trainings, or do you act like a consultant and enable business functions to identify the training needs, mechanisms and tools that would work for them? 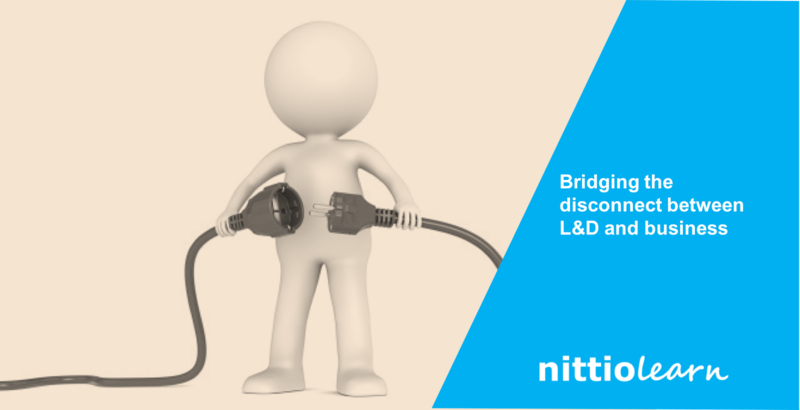 The L&D teams that are connected to business have their goals derived from the business objectives. Do you discuss and align your goals with business leaders (sales/operations etc.)? Such goals clearly (and quantitatively) describe how L&D contributes to the achievement of the business objectives. While standard L&D goals, e.g. overall increase in training hours imparted, kind of new projects rolled out are nice to have, on their own, they do not provide the connect with the business. So where on the scale of connection does your organization lie? 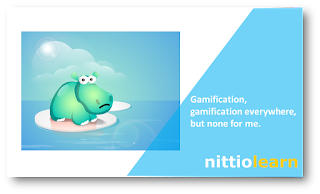 Do send in your thoughts, bouquets and brickbats to hello@nittio.com.